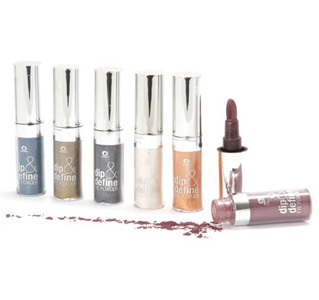 Miners are introducing the new Dip and Define eye colour range launching in store over the next few weeks. Each loose powder is enhanced with metallic flecks with shimmering undertones. With an innovative spring applicator, Dip and Define allows for precise and intense coverage. Available in six soft and blendable shades including Damson Dust, Cosmic Copper, Cloud 9, Khaki Gold, Deep Cornflower and Rough Diamond, the Dip and Define eye colours are priced at £3.49 each. Royal Wedding Giveaway - Win Lanvin Marry Me Perfume! Win Ted Baker Fragrance Gift Set! FREE Ojon Hair Products worth £41.50! Revlon Fire & Ice Lipstick and Nail Polish Giveaway! Winner of Bethanie Lunn Fabulousness Guide! Revlon Fire & Ice Winners! Perfectly Polished. Powered by Blogger. © Perfectly Polished | All rights reserved.